Sony AATH is a Premium Bangla Entertainment Channel that entertains its viewers with a mix of fiction, cinema as well as locally produced animation programs. Launched in 2009, Sony AATH has become extremely popular amongst viewers of all age groups. 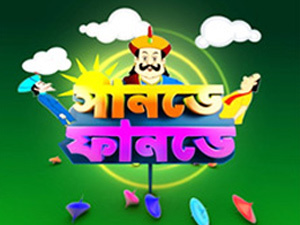 With fiction shows such as Crime Patrol, Adaalat, AAHAT, Gopal Bhar and Nut Boltu, the channel not only has the most exciting fiction series in Bengali but also the most funny kids programs with locally relevant stories. The channel is currently available on all major digital and analog cable platforms across India, including DTH players like Dish TV, Tata Sky, Airtel Digital TV, Videocon DTH. It is also available in USA, Canada and Bangladesh. Copyright © 2019, Bangla Entertainment Private Limited.